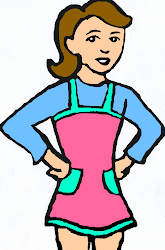 Teenie Baker: What's In My Lunch Box? This is my sister's lunch. It's packed in the Planetbox Launch, which has three larger compartments. 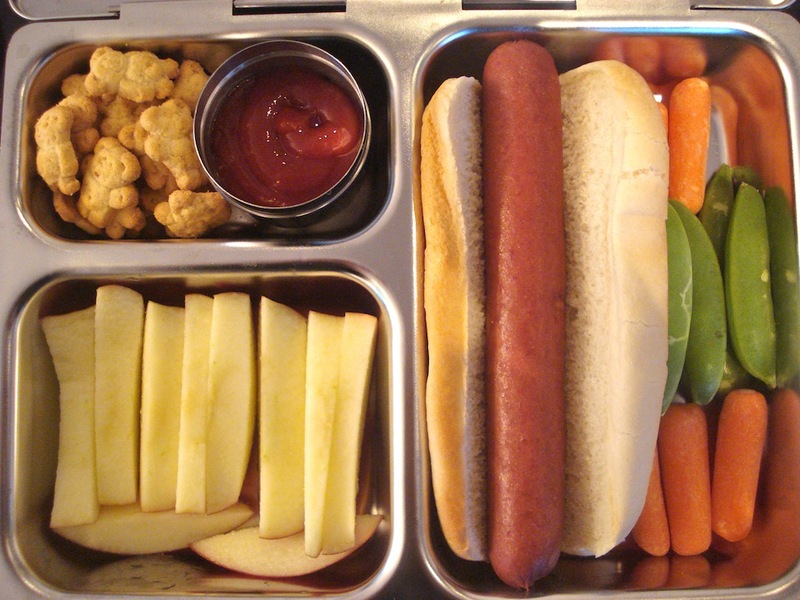 Her lunch includes a hot dog with ketchup, carrots, snap peas, apple slices and teddy crackers. This is my lunch. It's packed in the Planetbox Rover, which has five compartments, plus a little one in the middle. 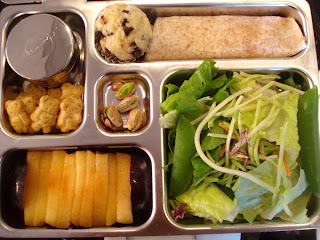 My lunch today was a cheddar wrap, a salad with balsamic dressing (in the silver container), a plum, a few pistachios and a chocolate chip muffin. It was delicious! So there you go! 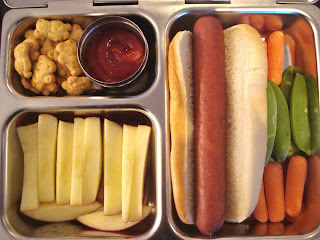 Those were our lunches today. Hope you enjoyed!